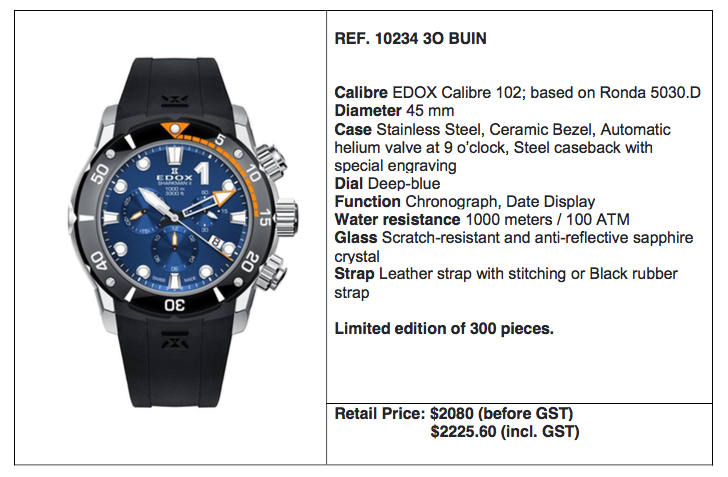 Face Your Fear with EDOX Sharkman II Limited Edition | JustRunLah! Even the toughest man on earth has his own fear and the best way to overcome it is by facing it head on. 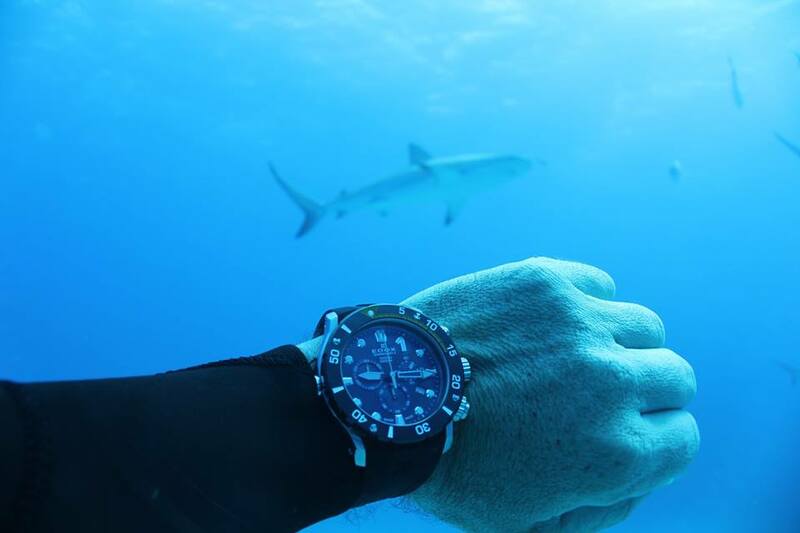 Inspired by Christian Redl, world champion free diver and ambassador for the first Sharkman timepiece, EDOX designed the ultimate dive watch to handle the toughest of conditions – EDOX Sharkman II Limited Edition. In February, the EDOX Sharkman II Limited Edition teamed up with Christian Redl in his challenge to break his under-ice free dive record at Lake Weissensee in Austria. Not only did Christian Redl have to overcome the limit of holding his breath under water, he had to withstand the extreme cold settings of the location as well. This challenge required strength, skills and supreme fitness – similar to qualities that EDOX timepieces stand for. EDOX is proud to have designed a timepiece that performed remarkably in this challenge. 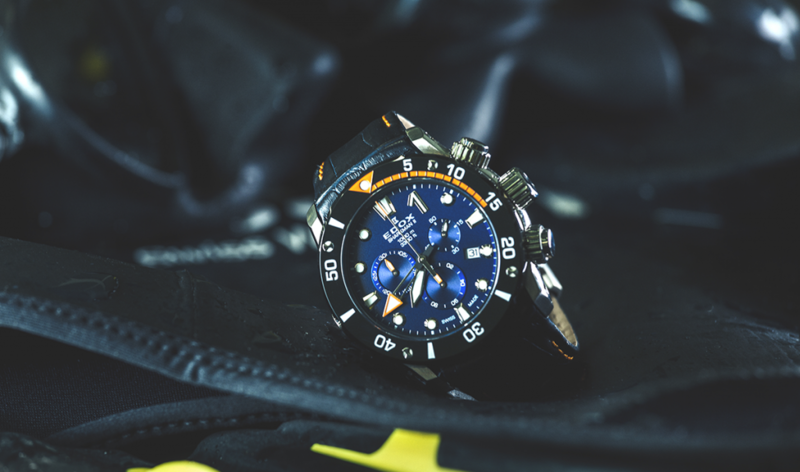 The EDOX Sharkman II Limited Edition is designed at a sturdy size of 45mm and features a chronograph function, making it the perfect timekeeping tool under water. To ensure further durability and security of the watch, the watch is furnished with a 3mm sapphire crystal and screw-in crown and pushers. Finished with an impressive water resistance of 100ATM/ 1000m with an automatic helium release valve, EDOX demonstrated superb engineering by pushing boundaries in their design and capabilities once again. The limited edition also spots functional features like a date display and ceramic uni- directional bezel for scratch resistance. Every collection of EDOX has its very own custom caseback that represents the collection. 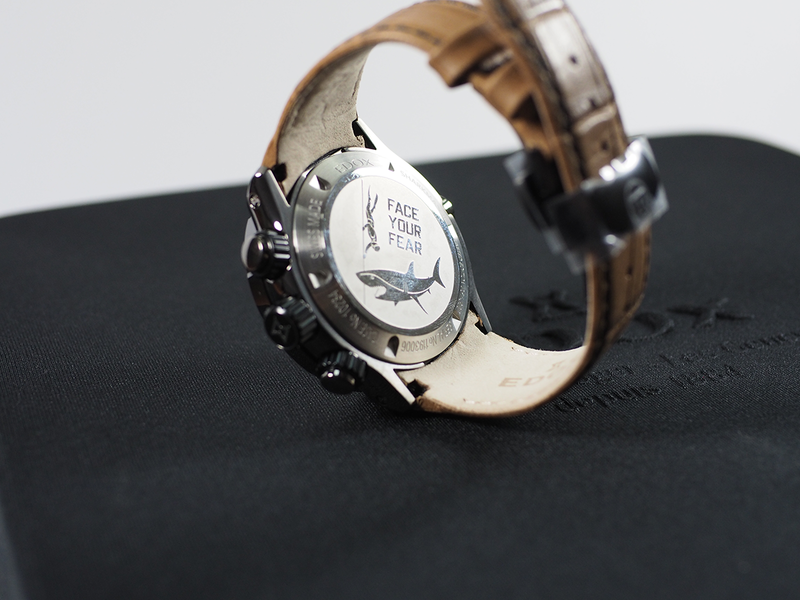 In collaboration with Christian Redl, the caseback of the EDOX Sharkman II Limited Edition pictures a diver and shark with a quote ‘FACE YOUR FEAR’. Accompanying the Sharkman II Limited Edition timepiece are 3 other limited edition designs to suit every watch enthusiast that is looking for the next adrenaline rush. Each colour rendition is spotted with bold new colours which include the mysterious midnight ice blue, flamboyant orange, vintage brown and classic gold. Each limited edition colour is limited to 300 pieces worldwide. The watch is also stored in a special Sharkman box and comes with an additional rubber strap, exchangeable with the leather strap paired with the watch. The perfect timepiece for those who are unafraid to face their fears! EDOX Sharkman II Limited Edition is available at its official retailers at Tangs @ Tang Plaza, International Watch, Robinsons The Heeren, Kok Heng, Eastern Watch and Nanking Watch. 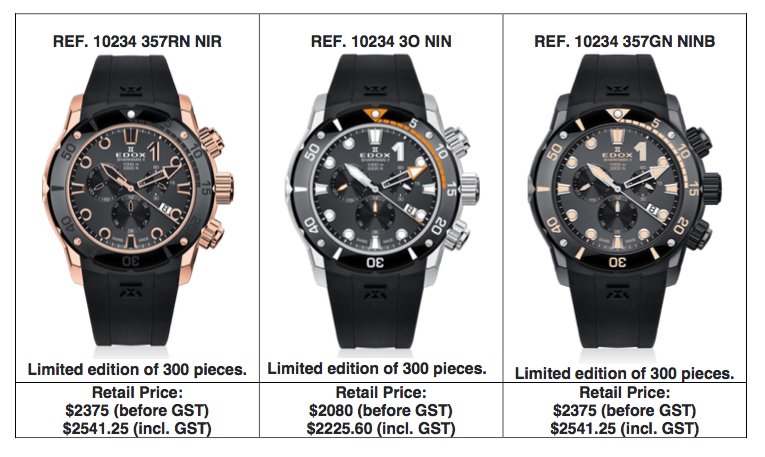 All images courtesy of EDOX. All product names, logos, and brands are property of their respective owners. All company, product and service names used in this website are for identification purposes only. 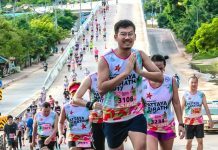 Use of these names, logos, and brands does not imply endorsement.